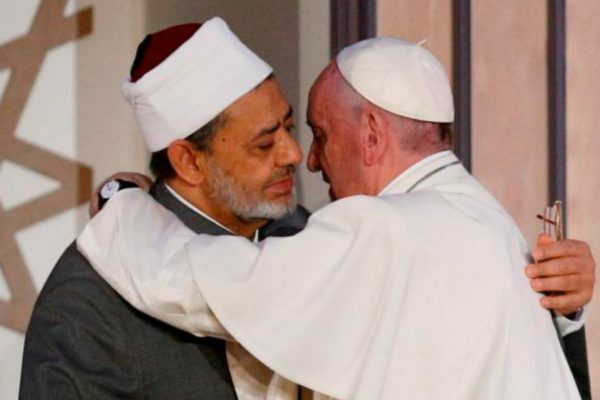 CAIRO – Calling his visit to Egypt a journey of “unity and fraternity,” Pope Francis launched a powerful call to the nation’s religious leaders to expose violence masquerading as holy and condemn religiously inspired hatred as an idolatrous caricature of God. “Peace alone, therefore, is holy, and no act of violence can be perpetrated in the name of God, for it would profane his name,” the pope told Muslim and Christian leaders at an international peace conference April 28. Ecumenical Patriarch Bartholomew of Constantinople was in attendance. The pope began a two-day visit to Cairo by speaking at a gathering organized by Egypt’s al-Azhar University, Sunni Islam’s highest institute of learning. Contributing to this story was Dale Gavlak in Amman, Jordan.